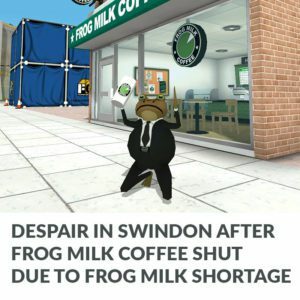 In the spirit of trying to maintain more regular development blogs, here is a new entry of what we have been doing with Amazing Frog? over the past couple of weeks. 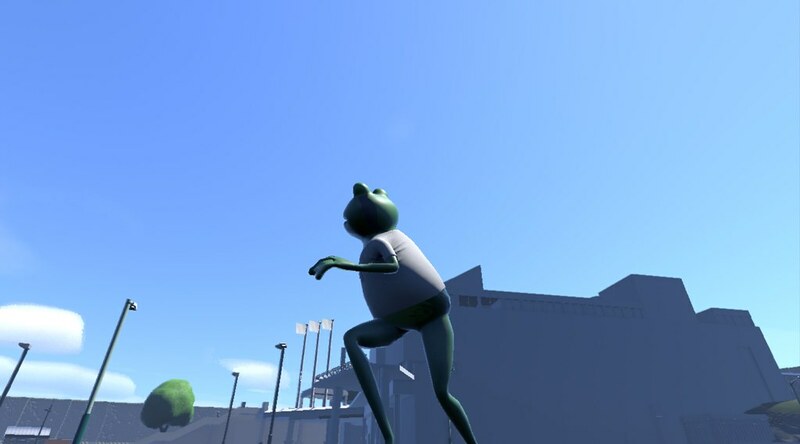 Game development involves a lot of different processes and disciplines and it seems as we progress with Amazing Frog? that the number of different processes and techniques that we need to employ to achieve what we want increases daily…. Thanks technology ! 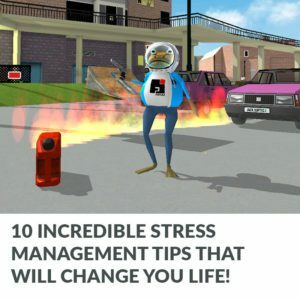 The project itself is vast and while working in unity 4 we had found it increasingly difficult to provide progressive updates. It had become too much like manoeuvring a single giant ship, rather than commanding a fleet of autonomous self aware boats to achieve the same goals. If there is something wrong on one boat it can be fixed and the fleet moves on or if you add a new boat it can become part of the fleet rather than getting the Massive ship to move around slowly picking up all the new…. er … ideas. Hopefully you get my silly analogy. My point is that aside from changing how we build, program, design the game we have also been working on our development process. By setting up a pretty slick version control system its means in future it will be much simpler to integrate changes from Hal and changes from me and incorporate them into the latest ‘safe’ build that we’ll have allowing updates to flow quicker… BUT we still need to get to that first Beta update from the U5 version first. SwindonShire has been coming along nicely, its always good to spend some time running around as a frog to take closer look It helps check out the variety of detail and what may work or not work. The environment as a whole is evolving and we both spend a bit of time on ‘environment stuff’ each week. By ‘environment stuff’ I mean the landscape, the sky , the atmosphere, the sea, the wind, the weather, daylight and whole bunch O stuff. Sometimes the vastness can be a bit distracting at times when it might be preferable to focus on other development necessities, like walking, running, driving, shooting… I guess it is normal as an indie game developer to find yourself bouncing between all sorts of stuff at once. We want to get the look of SwindonShire right, but we also want to have flexibility allowing for lots of weather conditions and day times. As much as I can show them in screenshots I still need to orchestrate how is all fits together in gameplay. Hal’s progress in the Fayju building (Wyvern Theatre) has been really exciting. Its pretty much the most complex building in Swindon so far and the interior is coming on really well and its a big interior. 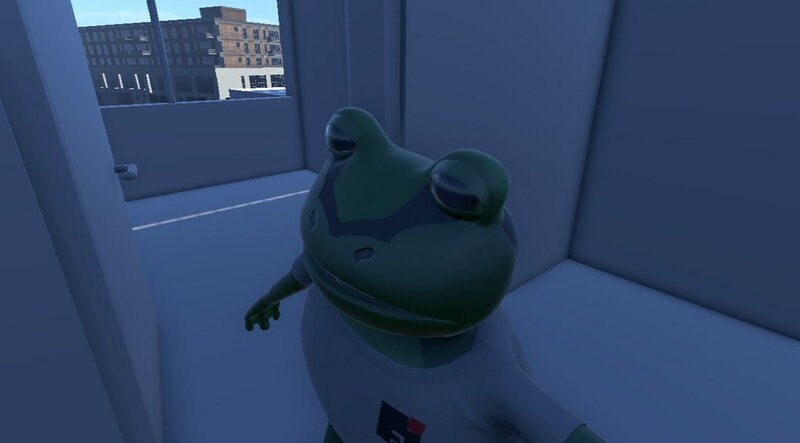 This week I have been using the new building and its interior to test out frog movement and surface interaction which has been a joy compared to the test environment I was using last week. In the old version you could only get to our office through the window. In this version of the Fayju building more offices can be explored, you can work you way up and down the stairs to the foyer ( which I am sure will have a Frog Milk Coffee Co. area) The Art gallery has been massively expanded in line with our plans for that space. The Swindon fArt Council has always been important to us. If you are wondering why the building is blueish… There are no textures on it yet, I’ll show you more images of it when thats done. 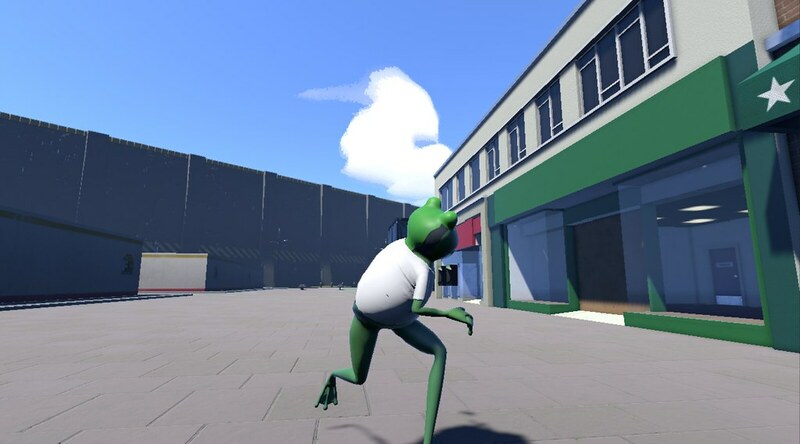 As you can see the screenshots in this devblog are all containing the new frog. 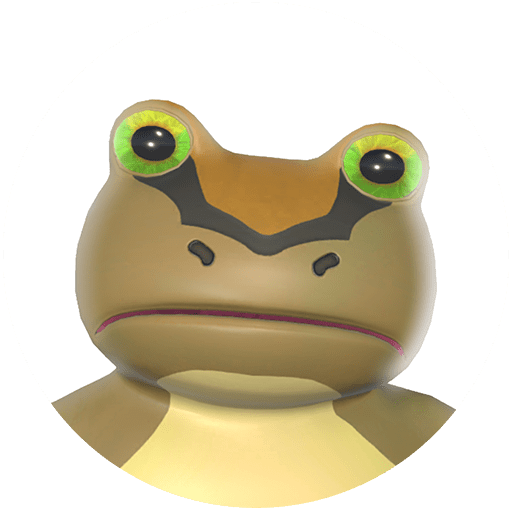 I’m happy with how the new frog is working, but there is still some way to go with it. I guess now that we have introduced eyes, expressions and fingers we should have expected more complexity. 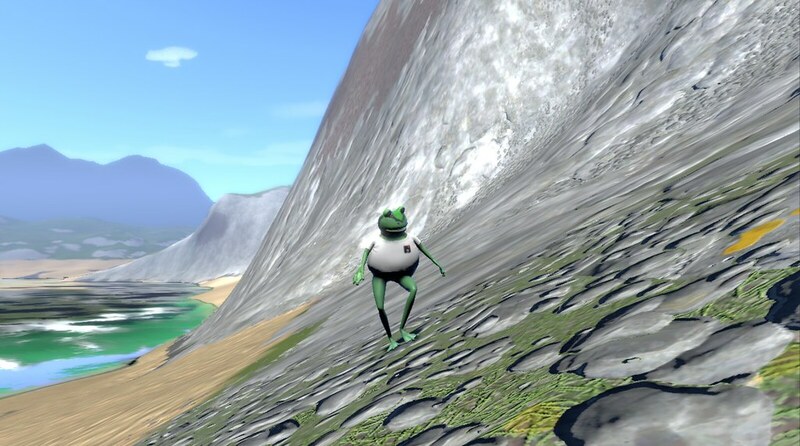 Last year, I had made a lot of progress integrating the old frog and rag doll system into Unity 5 and Multiplayer. 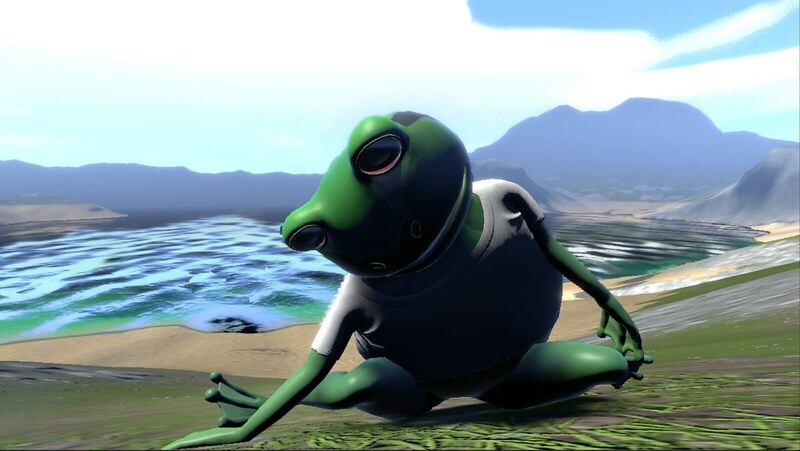 Our intention was to upgrade the frog at a later date. Although, as I mentioned in a previous post, the behaviour of the physics was becoming a big issue since it behaved so differently in Unity 5. 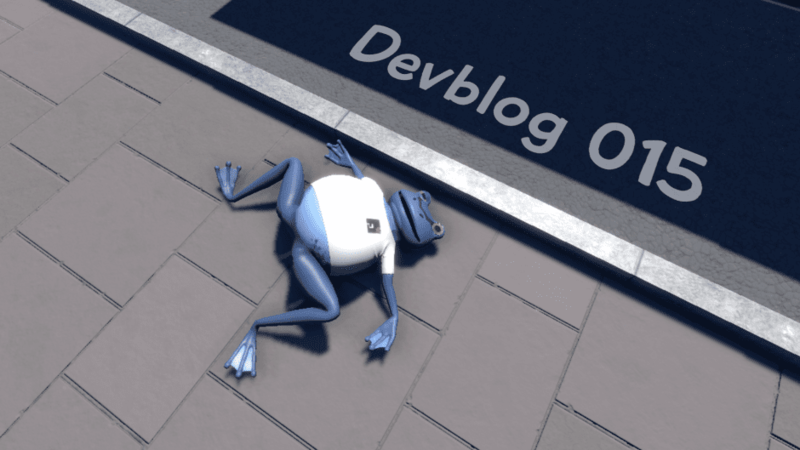 It has not been a total loss, much of that work remains valid, but i feel very much like I have had to go back to basics to get this new frog up and running, jumping… and er falling over again. What seems to be emerging is a much more robust and flexible system. I’ll try and out put some more videos as I go along.